It’s her junior year at Arkwell Academy, and Dusty Everhart just wants to be alone with her boyfriend, Eli Booker. But fate is literally keeping them apart. 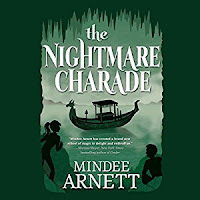 See, Dusty is a Nightmare, who can enter Eli’s dreams to find clues to the future, but an ancient curse predicts that any romance between them is doomed to end in tragedy. Dusty and Eli are willing to take that risk, but the authorities disagree—and have assigned a chaperone to make sure their relationship is strictly platonic. As if that’s not bad enough, they’ve been recruited by the Department of Intelligence for Magickind Secrecy (D.I.M.S.) 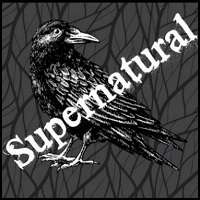 to use their dream-seer bond to help recover the most powerful object of black magic known to magickind. The Animus Mortem can raise the dead by stealing the souls of the living…which makes tracking it down a genuine matter of life and death. To make matters worse, one of Dusty’s friends is accused of murder and is counting on her to clear his name. The concluding book of this young adult Arkwell Academy is a pretty great round up of the trilogy altogether. 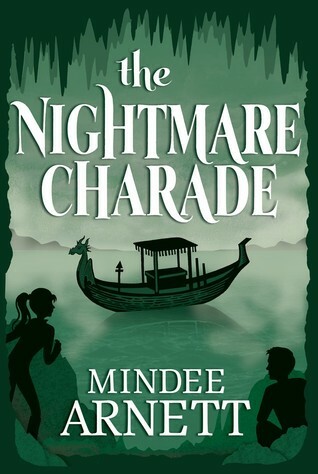 My thoughts about this last book is really no different than what I'd thought of the first two books: The Nightmare Charade is very enjoyable, and it has a lot of great potential to expand upon its world. I still feel like it's missing something to make it rank more in the awesome category, but I DO have to give the book props for managing to keep my attention so well. Whether that's because it's a mystery, or simply because of how easy it is to read, I'm not sure; however, I DO know that I gleaned a good amount of entertainment from it, and even got some feels wrenched out of me towards the end. The truth, though, is that there is little about this book I can think of to complain about. Maybe that Dusty still seems so easy to push around by her teachers and her ex-boyfriend. Or maybe that there were some moments wherein I got a little lost as to what was going on (although that could have been because I was listening to the audio book and lost focus at some points). The ending certainly felt a little more angst-ridden than I would have liked, but I sort of saw it coming miles away. The main villain--the guy who killed the previous book's villain, as well as kidnaps two Nightmares--was a bit of a surprise to me, however, and I DID find myself a bit blindsided; though whether this was in a good way, or a bad way... I'm really not sure. Once again, the characters, our kids, are great when they get together to investigate the murder and kidnappings--Dream Team, indeed. I'm just glad there's so much camaraderie between our main couple and their "side-kick" best friends. And maybe I've thought of one more thing to quibble about: Our two main characters kind of fall flat compared to the two "side-kicks," if I were really to be honest with myself. Dusty has a way of sounding kind of dull in her narration, and aside from the fact that Eli isn't a typical, young adult novel broody teenage boy, he's actually a bit ordinary and boring. While it's true that I like that he's not the standard YA main male character, I also wish there was more to him in this book--he feels less interesting than he did in previous books. In contrast, Lance and Selene are both pretty awesome and cool, especially Selene with her badassery, trying out for the Gladiator team and flying around with her Siren wings, owning the battle with just her badass, badassery alone... Selene was always a great character from the beginning, and I love that she stays true, as the supportive best friend throughout. Note to author: Selene needs her own book. As far as the romance between Eli and Dusty is concerned, while I'm glad that the two of them never faltered in their feelings or their determination to be together in spite of the Dream Seer Curse, I DID feel like Dusty dwelt a little too much on Eli and their love and their entire "Fated to be Torn Apart" scenario. Otherwise, The Nightmare Charade is still a readily enjoyable book that doesn't have all those over-exhausted YA cliches to bog it down. I'm certainly content with what I got out of it, book, series, and all! Murder Most Foul: The murder actually happens off-stage, and only mentioned at the beginning of the book, so this might be a stretch. Amateur Sleuth: Dusty, Eli, Selene, and Lance are definitely not law enforcement, as young teenage students investigating a murder, a kidnapping, and the possible rebirth of an old nemesis.